Even a small roof leak can cause considerable damage to your roofing system if it is left unattended. In addition, roof leaks can cause mold growth in your home even if the damage is repaired. Fortunately, you can make your roofing contractor’s job easier as a homeowner by trying to determine the source of the roof leak so your contractor can repair it as soon as possible. 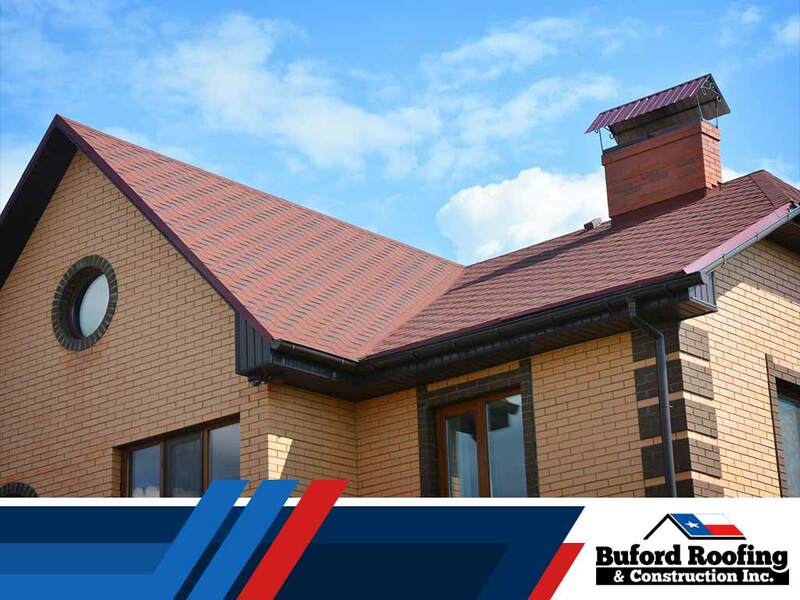 Buford Roofing, a top general contractor, explains more below. It’s best to look for the source of the leak while the leak is actively occurring. This is because water stains don’t reveal the entire story behind a roof leak. We suggest tracing the leak when it’s raining. If this is not possible, consider conducting a water test on the roof by using a garden hose to saturate the area where you suspect the leak is. Start by locating the water damage inside your home and figuring out if it’s a result of a leaking roof. Plumbing or HVAC problems and condensation are all possible leak causes, as well. Once you’ve determined that there’s a problem with your roof, measure the location of the leak in the living space from two fixed points. Go to your attic and use these measurements to locate the source of the leak on the underside of the roof deck. As a roofing expert, we suggest expanding your search area once you are in the attic. The actual entry point of water may be different from where the leak shows up in the interior. Give us a call once you’ve found the approximate location for the leak in the attic. We will take it from there. We can climb up on your roof and perform an in-depth inspection for possible roof leak locations. Roof leaks can be caused by loose flashings, cracked or missing shingles, and more. In addition, water can also travel quite far from the entry point in the roof. You’ll need a pro’s help to find and fix the leak. We provide roof repair, roof replacement and many other home improvement services. Our company has been proudly serving local homeowners since 2005. Most of our business comes from enthusiastic referrals from satisfied customers because they know they can count on our first-class service. We put our customers first. Call us at (817) 754-6555 to learn more about our services and products or to get a free quote. We serve Grapevine, Flower Mound and nearby areas in TX.